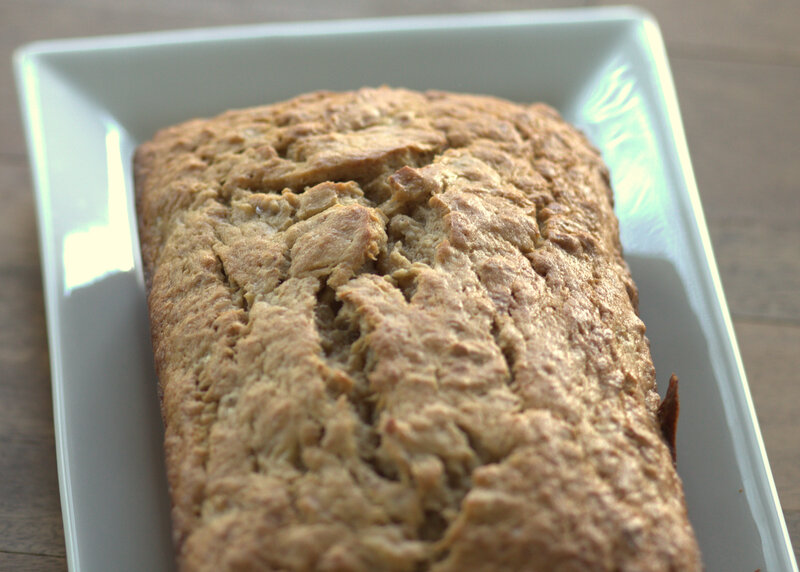 Banana bread, as luck would have it, turned out to be a great opportunity for me to practice my food photography! 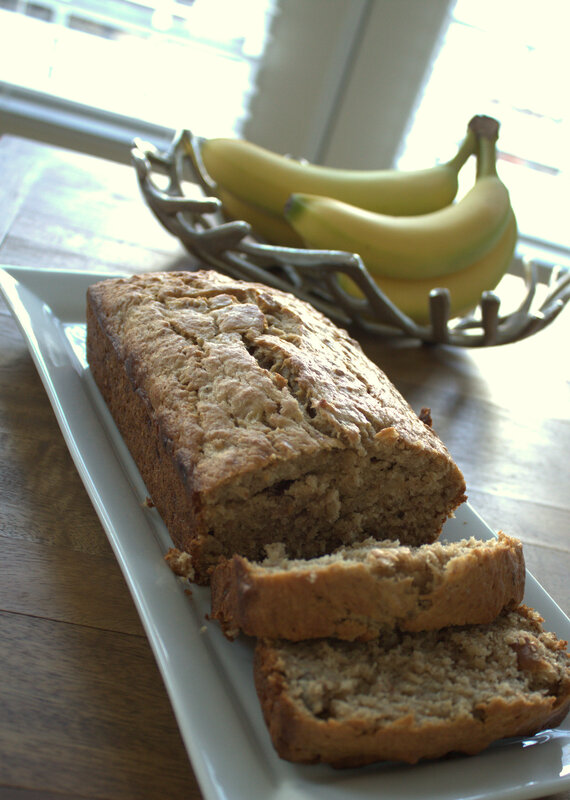 Plus, banana bread is so classic that it’s worthwhile to try out a few different recipes so you can figure out which one is going to be your favorite, and then it forever becomes “your” banana bread. This one happens to be Bobby Flay’s recipe. I’ve never seen Bobby make anything that looked terrible, so I was happy to give it a shot! It was, in fact, as delicious as I’d hoped. 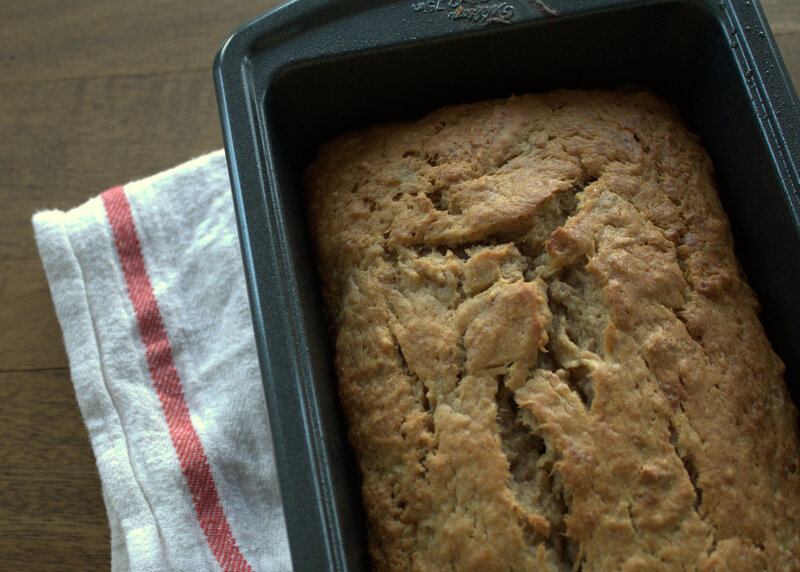 Warm, soft, sweet… all the things a comforting loaf of banana bread should be. With that said, I think it’s a good idea to have your “indulgent” version of a recipe and also a “healthy” version of the same. I know that I, for one, cannot sustain a healthy weight by eating banana bread (at least this kind) every single day. However, it’s worth it as a treat sometimes! I am a firm believer in an occasional treat. Probably because I’m obsessed with food. So Bobby serves his version with a vanilla bourbon pecan butter… Um, wow. I didn’t get around to making that part of the recipe, but I’ve got to try it one of these days. 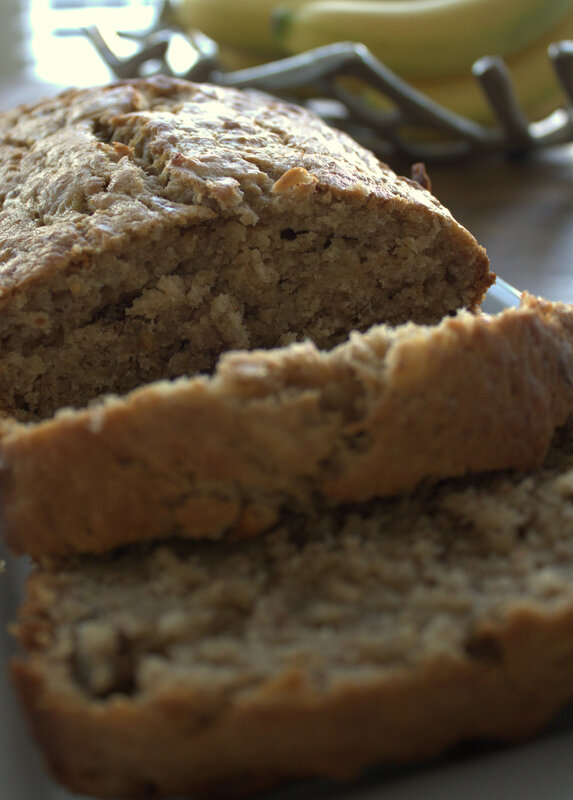 The moral of the story is that I would highly recommend this bread if you’re looking for a basic, timeless classic – comfort food in the form of banana bread! 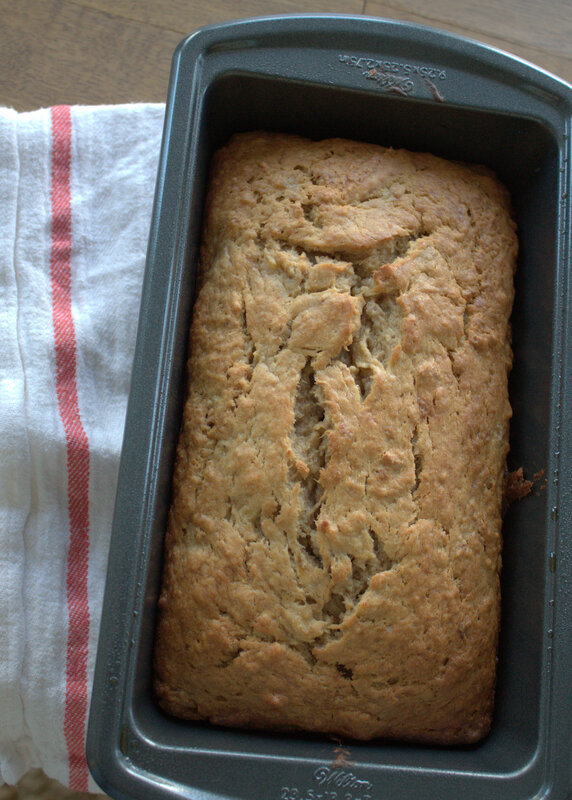 You can find the recipe for Bobby Flay’s banana bread (including the vanilla-bean bourbon pecan butter) here. Enjoy it!! !